Friday, September 22, 2017, is the Autumnal Equinox. The equinox is the moment in which the plane of the Earth’s equator passes through the center of the Sun’s disk.The word “equinox” comes from Latin and means “equal night,” referring to the roughly 12-hour day and night that occurs only on the two equinox days of the year. As reported by Weather.com (https://goo.gl/wDik7h), twice a year the sun’s rays shine directly over the Earth’s equator. The sun rises and sets exactly due east and due west on the equinoxes. Instead of the Earth tilting away from or toward the sun, its axis of rotation becomes perpendicular to the line connecting the centers of the Earth and the sun. From Autumnal Equinox to Winter Solstice (December 22) the nights get longer and the temperatures colder. The seasons’ evolutions continue after the Winter Solstice with days getting longer and nights shorter, until the Summer Solstice (June 22), which is the longest daylight of the year. The cycle slides back toward Autumnal Equinox, which again is equal day and night, and everything begins again. Well, then, what is the solstice? 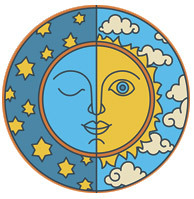 Summer solstice is the longest day of the year for each hemisphere. For northern hemisphere observers, the June solstice marks the beginning of summer. In the southern hemisphere, that’s the shortest day of the year and marks the beginning of winter. Six months later in December, winter begins with the shortest day of the year for northern hemisphere people and the start of summer and the longest day of the year for people south of the equator. 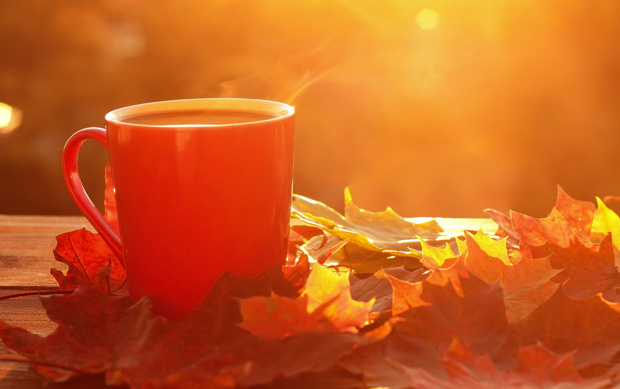 Now that you know the difference between solstice and equinox, how can one celebrate the Autumnal Equinox? Because night and day are nearly in balance, the equinox is a great time to work on personal balance. This is the perfect time of year to re-evaluate where you are and take the steps necessary to get your personal and spiritual lives in order. September feasting is a custom that dates back to at least the 1500s in England (where it was known as Harvest Home) and most likely long before that. Harvest Home was a time for games, celebration, and feasting due to the gathering of the grain crop. Include fall foods such as apples, squash, sweet potatoes, and pumpkins at your food tables. Go for a walk. The nights are becoming crisp and cool, and there’s a chill in the air. Take your family on a nature walk, and enjoy the changing sights and sounds of the outdoors. The nights will be getting longer, so take advantage of the darkness by turning off the TV and doing something creative. Reading is an excellent equinox pastime, as is writing, scrapbooking, or anything that takes advantage of the season’s cool weather and the warm feeling of home.